If you want to learn why belly fat is so hard to lose, and how supplements can (and can’t) help, then you want to read this article. Belly fat tends to be one of the most “stubborn” kinds of body fat, so many people turn to supplements for help. There are no supplements that are dedicated belly fat burners, since they just burn fat in general, there are some that may particularly target belly fat. Having excess belly fat is not necessarily healthy and it’s possible some “health” supplements may, in this particular instance, help you reduce your waist circumference. Fat loss supplements are among the most common and profitable types of supplements available on the market. A lot of people have fat to lose and don’t mind putting an extra $30 to 40 down a month to speed the process along or make it easier. To match this we have a surprisingly amount of evidence on the topic of fat loss overall; what works, what doesn’t, and extending beyond those two questions just general knowledge on the process of fat gain and fat loss and how to manipulate them. Still, we find that marketing buzzes ahead of science with astounding speed and our science on “belly fat” came a lot later than the supplements for it . . . Yes, there are different types of fat and one of them accumulates around the belly. Yes, you can preferentially target this type of fat. No, it’s not as simple as buying the latest and greatest supplement to be marketed for a low low price of $49.99 come January 1st. There are a few caveats and nuances when it comes to people who have an abnormal amount of fat around their stomach, in comparison to the chest and legs, and there are ways to improve your health and fat loss if this applies to you. But first, we need to go over both terminology and practicality. What Are Abnormal Fat Distribution Patterns? Without getting too blunt, if you want to target belly fat then you need to honestly ask yourself whether your fat is even belly fat. Cause there’s a difference between having an abnormally high amount of fat in your belly and, well, just being fat. The first thing that needs to be discussed is probably going to come across as a bit harsh; if you’re wondering whether or not you need to lose belly fat you need to confirm if belly fat is even the issue here. Usually, when we talk about belly fat scientifically, what we’re talking about is abnormal fat distribution. Things like your belly being much larger than it should be for your weight. 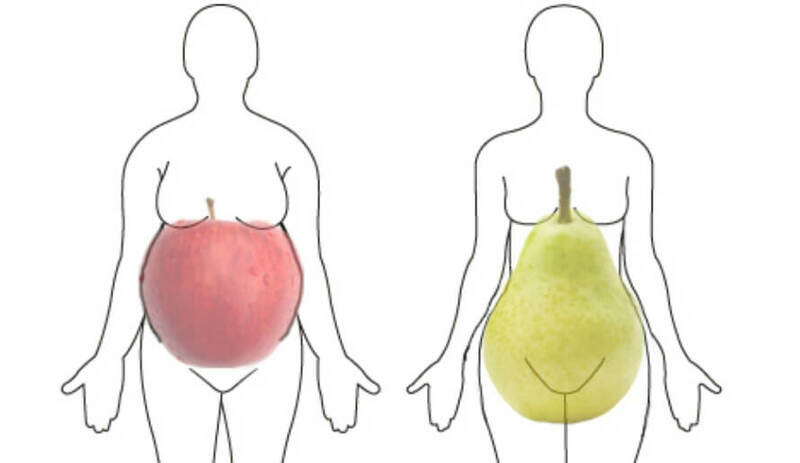 The “apple versus pear” fat distributions—people who have a “beer gut” or people with thighs that are larger than normal with a flat belly—these are examples of abnormal fat distribution. If you have a fair amount of fat but it’s spread out across your body, however, that’s not abnormal fat distribution; it’s just fat. In this case there’s no targeting needed and you should just stick to a good overall weight loss plan. However, even with an abnormal fat distribution it’s not like you can selectively target that one area. If your belly is 10% larger than it should be then you still need to lose fat all over your body, but there may be some considerations to take so you lose 10% more fat off your belly. The goal of losing fat, if you have an abnormal distribution, is to both lose fat overall but also keep in mind that your circumstances are a bit different than somebody who has a balanced fat distribution overall. The types of fat tissue. The hormones and general body state that are associated with them. Fat tissue is not created equal, either metabolically or visually. Similar to how there are different types of muscle in your body (skeletal, the type we can control, and smooth muscle like the intestines, which we can’t control) there are different types of body fat. Subcutaneous (SC) body fat is the jiggly type near the surface that we’re all well acquainted with. While excess fat of any type is unhealthy, SC fat is generally seen as the healthiest type. Visceral (V) body fat is a harder, denser type of body fat, located under the skin and primarily in the abdominal region. It provides physical protection to organs and has a pretty big role in managing health through hormones. Retroperitoneal (RP) body fat is a type of fat that’s on your lower back, and for all intents and purposes not the topic of this article. It’s always there on your body unless you drop well below 5% body fat which, due to a lack of RP fat, your kidneys might actually get damaged. RP fat literally supports your kidneys and, if it’s not there, the weight of the kidneys presses down on the tubes connecting them to the bladder and causes damage. It’s one of the reasons why you hear about some bodybuilders getting kidney failure due to extremely low body fat. For most intents and purposes when we’re looking at abnormal fat distributions, we’re looking at elevated levels of visceral fat compared to subcutaneous fat. Due to visceral fat being located around the organs, and subcutaneous fat being everywhere else, you sometimes see studies opt for measuring waist circumference in combination with overall weight and body fat percentage. This is because waist circumference is a cheap way of approximating visceral body fat levels. When it comes to losing belly fat, you’re going to have to lose both visceral and subcutaneous body fat. As you lose weight, whichever you have more of at the start will be lost to a higher degree in the following months so, good job, just by having belly fat you lose it faster. And it would be best if you did lose it faster, by the way. Evidence looking at abnormally high levels of visceral fat show that it’s associated with a greater risk for diabetes, cardiovascular and coronary issues, kidney problems like urinary stones, and even adverse changes in the white matter of brains. It’s just an all-around bad thing and the faster it can be lost the better. But, aside from cutting calories, is there anything you can do to get rid of that belly fat any faster? And are there any supplements that can help? While we we all know and see abnormalities in where our fat is stored, the only reason it’s stored this way is because your body thinks, due to hormones, that it’s normal. You may see your body fat distribution normalizing but your body thinks something is wrong and will try and reverse the changes. This is why, when it comes to studies on liposuction, removing fat from a specific area of the body without following through on lifestyle modification is associated with weight regain after a few months. Even if overall weight stabilizes there are trends to increase fat in the region it was lost from. Thankfully, and again referencing studies on liposuction, you can prevent this by generally preventing weight gain; exercise is particularly effective in preventing weight regain. But if you just put on a cream and don’t change the underlying habits that made you gain fat in the first place, the fat is just going to come back with a vengeance. Overall, if you force a change in an area of your body without targeting the underlying hormonal/stress issues then fat regain is going to target that specific area. When it comes to the topic of targeting belly fat directly we need to differentiate between the practical and the theoretical. When it comes to theory then, yes, you can easily target belly fat. The easiest way to target body fat is to literally put a fat loss agent on the part of your body that you want to make leaner. Topical administration of fat loss agents has been investigated for yohimbine, aminophylline, and licorice all with success in the short term that isn’t just due to water loss. One catch here, however, is that even if you reduce fat in one area of the body it’s just one area of the body. Total body fat lost from topical application is nowhere near as potent as exercise and dietary interventions. The other catch is the way fat is initially distributed in the body. If your body wants to deposit fat in a certain area then, to a degree, the above compounds can reduce fat in that area but what happens when you gain weight again? The fat goes right to the area that you removed it from. The body senses a disproportionate loss in this region and aims to “restore” it. Even if it’s effective in the short term, that doesn’t mean it’ll help you get rid of belly fat in the long term. Topical fat loss may be a minor tool in your overall fat loss kit that includes diet and exercise modification but, if long-term weight loss is not achieved, it can backfire. When it comes to feasible and long-term solutions to reducing belly fat we don’t want to continuously buy and slather on creams in an attempt to stave off the inevitable weight regain; we want to attack the source. Instead, we want to look at what the initial reason we even got belly fat in the first place. Was it due to high stress, high alcohol consumption, unhealthy habits such as smoking, or does it underlie some other adverse health situation like prediabetes? If you can figure out what caused your belly fat initially then it provides ammo that you can use to blast it away for good. But, in the event that you don’t necessarily know why you have abnormal body fat but you have it and want to target it there are a few options that would be good to look at. For the top three supplements for losing belly fat specifically, I’ve looked into three supplements that would either normally not be seen as fat burners (due to not inherently having fat burning effects) or things that become better “fat burners” only when belly fat is at high levels. Sometimes you simply need something to burn calories, which we have already covered, but sometimes that’s not as effective as we want since belly fat gets in the way. While we don’t want to delve too much into the various mechanisms of fish oil one we do want to elaborate on is the interaction with a hormone made from fat (an adipokine) called adiponectin. Adiponectin is an anti-inflammatory adipokine that tends to be lower when visceral fat is higher leading to a relatively higher level of inflammation that impedes improvements to health. Adiponectin has been noted to increase in obese rodents fed a high fat diet that mimics a typically unhealthy human diet; this has also been confirmed to occur in humans given fish oil supplementation (1,110 mg EPA/690 mg DHA). Likely due to these mechanisms, fish oil seems to have health-promoting and anti-abdominal obesity actions even when overall weight loss does not occur. That is basically as targeted as we can expect when it comes to oral supplements. Fish oil may not inherently be a fat burning supplement but, in instances of high belly fat, it seems to selectively reduce visceral fat by reducing inflammation. 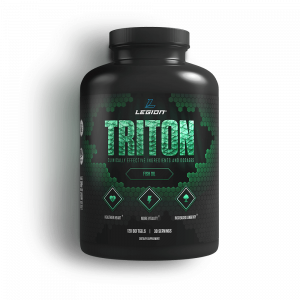 If you want to try a high-quality fish oil for this purpose, then you want to check out TRITON. Berberine is the main component of numerous herbs that have been used to treat diabetes historically such as berberis aristata, coptis chinensis, and phellodendron amurense. Berberine’s mechanism is simple; it activates AMPK and it does this well. AMPK is a protein in all cells that, when activated, signals for the cell to uptake both fat and carbohydrate and also tells the cell to utilize that energy for productive purposes. In instances of excess calorie intake where blood glucose and triglycerides get too high, AMPK activation has been sought out as a good target to help bring these back down to normal. Some pharmaceuticals also work by activating AMPK, with berberine and the drug Metformin having similar properties. When it comes to belly fat, however, studies in people with metabolic syndrome have noted that berberine supplementation not only made them healthier but also caused quite a lot of weight loss. This is notable since AMPK activation, by itself, is something that should help with weight loss in the unhealthy yet probably isn’t too viable in the already lean and healthy. Ultimately, berberine seems to have a lot of promise for reducing weight, specifically for people with lots of belly fat that’s caused by metabolic syndrome. It’s uncertain if this benefit holds true for people with belly fat but no health complications. Dietary fiber is one of those things we’re always told we need to consume but with little in the way of reasoning; “eat fiber because it’s good for you” may be correct but it’s rather unscientific and unsatisfying. Rather, we should eat fiber because not only is it confirmed to have mild to moderate benefits to various parameters of cardiovascular health (cholesterol and blood glucose) but it’s also been shown to promote more fat loss than placebo numerous times. A large part of this is due to how fiber increases satiety (how satisfied one is with a meal; higher satiety means you’re less likely to want to eat again) partially related to the water-forming capacities of fiber; it makes a nice gel in your stomach and it fills you up. Less food consumption means that weight can be reduced easier when dieting while the beneficial health effects mean that visceral fat is also reduced. A nice side-effect to boot is that, with improved intestinal health, bloating is less likely and might also cut another inch off your waistline. Fiber supplementation, or simply consumption through food, not only reduces food intake but also provides mild health benefits. The combination of these two functions, over time, can lead to improvements in belly fat loss. For supplements that are not good for losing belly fat we’re going to focus on things that are popular but don’t work as well as many think, rather than outright “bad” for reducing belly fat. The things that are bad for reducing belly fat are drinking lots of alcohol, smoking, and eating a ton of food while continuing to be stressed out every day. It should be pretty obvious but, yeah, don’t do those things if you want to lose weight. Garcinia cambogia is a fruit known as malabar tamarind that, for our purposes, is also a low-hanging fruit that has to be mentioned here. I’ve already discussed this supplement relatively in-depth before but the gist of it is that it’s heavily marketed with outrageous claims despite most evidence suggesting that it doesn’t work in humans. The bottom line is that it’s heavily marketed, commonly marketed towards belly fat as well, and just doesn’t work. Whoo-boy, this is gonna be an interesting section where I argue that, for people with high levels of belly fat, caffeine is probably going to be more negative than positive. First and foremost, context. If caffeine is able to act as a fat burner, and is successful in causing fat loss, then it’ll be able to reduce visceral fat accumulation which is a net positive. Acute caffeine usage, in the context of fat burning supplementation, is a good thing. Furthermore, it’s not like chronic caffeine ingestion is all bad. Evidence from rat studies suggests that caffeine increases both AMPK activation and decreases catecholamine production, both of which may work to mitigate visceral fat gain over time. Among the things to keep in your routine while losing fat caffeine isn’t the worst choice. However, caffeine is also known to increase cortisol when ingested. While normally this would not be an issue if the body adapted to it, caffeine is not subject to tolerance and, to a small degree, will always increase cortisol when ingested. While cortisol is something that is highly beneficial in the short term, if it’s elevated too frequently then it’s likely to play a role in the development of visceral fat accumulation. Caffeine has both positives and negatives when it comes to losing belly fat. If you want to improve belly fat losses then either just have one drink of caffeine in the morning (when cortisol is normally high) or try to take a break from it. Repeated doses of caffeine each day may not be ideal. Studies on whether low calorie sweeteners are able to help with weight loss have been known to be pretty all over the map; successes in fat loss diets, failures associated with long-term fat loss, and even an observed greater level of abdominal obesity. If we’re going to mock conjugated linoleic acid for once being associated with weight gain then, to be fair, we gotta poke some fun at low-calorie sweeteners. The odd thing here is that we don’t exactly know what’s happening since, when we look at the most popular artificial sweeteners, they aren’t actually affecting body fat or health in any way; why is something that is almost metabolically inert having a proven effect? When you ingest sugar, the increase in insulin seen actually suppresses appetite (and being more insulin sensitive increases this effect) while the perception of sweetness stimulates appetite. This has led to some researchers believing that, by divorcing the suppression and the stimulation, it causes a small increase in carbohydrate intake. Artificial sweeteners have also been associated with altering how some people perceive sweetness which implicates it in the entire field of how taste influences weight. However, at the end of the day, if artificial sweeteners cause increases in abdominal obesity it looks to be secondary to modifying the diet. Good dietary management should be able to prevent the known link between artificial sweeteners and abdominal obesity from occurring. At the end of the day, losing belly fat is about 90% or more the same as losing fat in general. Eat healthy food, sleep right, and exercise frequently. Lifestyle modifications trump here. However, when it comes to abnormal belly fat gain it also signifies that the fat you have on your body is not really “healthy” fat and you’re at greater risk for health issues than others with a more balanced body fat distribution. Bad news, you’re at greater risk for almost everything bad. Good news, many health supplements can now moonlight, at least for a short time, as fat loss agents by helping you get into a healthier body state conducive to burning off that belly fat. If losing fat in general is a marathon that takes time and patience, losing visceral fat is realizing that you’re a bit off course so you need to back up and correct your destination before proceeding on the exact same marathon course. What’s your take on the best and worst supplements for losing belly fat? Have anything else to share? Let me know in the comments below!